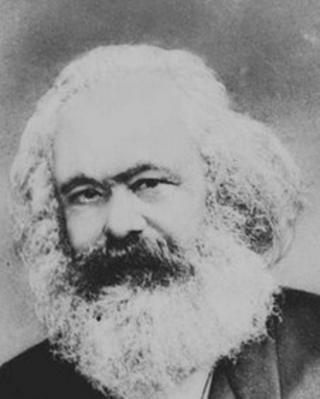 Image caption What would Karl Marx have made of the Maker Movement? When Karl Marx predicted a revolution putting the means of production in the hands of the workers, he probably didn't imagine it to be fought by an army of DIYers. But increasingly tinkerers and hobbyists are proving they are more than equal to the corporate world, and their efforts are challenging the traditional methods of manufacturing. From the 15-year-old high school student who created a pancreatic cancer test using Google as a research tool, to people making money from home-made electronic devices, citizens are most definitely doing it for themselves. The availability of cheap components, from microcontrollers such as Arduino and Raspberry Pi, coupled with the plethora of crowdsourcing models to allow the sharing of everything from ideas to funding, means that production can move out of the factory and into the home. "Things that 10 years ago you needed to be in a big company to make are now possible from individuals," said Dale Dougherty, founding editor of Make Magazine and the Maker Faire. Make Magazine has become the Das Kapital of the maker movement showcasing what people are making while the fair offers a real-life meeting point for what is often a very diverse community - "from embroidery to robotics" as Mr Dougherty puts it. Started in the San Francisco Bay Area in 2006, the Maker Faire has now grown to 60 events around the world each year in locations as diverse as India, Tokyo and Newcastle. There is also an independent African Maker Faire, and this is a continent where the maker movement can have real impact thinks Mr Dougherty. "They are realising that they don't need things that a large Western company has. In the past they have got hand-me-downs from the West which are difficult for them to maintain or repair," he said. Instead they can make their own devices, custom-made for medical, communication, farming or other needs. Chris Anderson, editor-in-chief of Wired magazine, is so convinced that the maker movement will bring about the next industrial revolution, that he has written a book about it. The parallels between the current phenomenon and the beginnings of the digital revolution are remarkable, he told the BBC ahead of the launch of his book: Makers, The New Industrial Revolution. "There is a sense that this is the PC movement over again. All the ingredients that led to the digital revolution out of the west coast of the US in the 70s and 80s are coming together in manufacturing," he told the BBC. "The difference is it is not going to take 20 years because unlike 1977 we already have the web," he added. If the garages in which the computer revolution was born were all about computers and code then the makers' garages are filled with laser cutters and 3D printers. And this time you don't need a computer science or business degree. For those starting out there is a huge web community of amateur experts waiting with tips and advice. For those with ideas but no clue how to turn it into a product, there are cloud manufacturing sites on hand to help with pretty much every part of the process from making to marketing. And for those with neither tools nor ideas there are physical hackerspaces where they can go to get both. The evidence of the revolution is in "just about everything you see on Kickstarter", said Mr Anderson. Take the Pebble smart watch which received huge amounts of interest and money on the crowd-funding website, grabbing the limelight from a very similar product designed by Sony. "In the public perception it outcompeted one of the biggest electronic companies in the world," said Mr Anderson. Despite the gathering media circus around makers, Mr Dougherty urges caution when predicting how they will change the world. "Makers have always been out there, they just didn't have a name for themselves. People often tell me proudly how they had a family member who was a maker, they see it as a tradition rather than a trend," he said. He agrees that there is some sort of revolution in the air though. "We are undergoing a creative rather than an industrial revolution," he said. "It is not replacing large scale manufacturing but people can go quickly from an idea to realised design so it means that people are thinking differently," he added. What is new, argues Mr Anderson is the way that corporations are facing a new threat to the old ways of doing things from what he calls "an army of micro-manufacturers". Large-scale organisations are definitely sitting up and taking notice of the Maker movement. Intel is one of the sponsors of the Maker Faire and big tech corporation are beginning to hire makers for their research and development teams, according to Mr Dougherty. Autodesk, a leading CAD (computer aided design) software firm makes the majority of money from clients in the building, construction and aerospace industries but increasingly it is keen to adapt its industrial products for consumer use. It is what Autodesk describes as the "democratisation of design software". The firm has recently bought Instructables, a website which offers blueprints for a whole range of products. It is also an investor in TechShop, a physical workshop which gives people access to tools and equipment. It is little wonder that corporates are sniffing around at the edges of the maker movement because it is making one very important thing - money. Etsy, an online marketplace for handmade items, has already surpassed $500m (£307m) in sales this year while 3D printer manufacturer Makerbot has sold 13,000 units of its affordable 3D printers. 3D printing may be the killer app of the maker movement and Mr Anderson envisages it spreading its influence into a diverse range of industries, from robotics, computer electronics and even jewellery. For the time being though 3D printers are largely being bought by parents "for their kids as a tool to inspire them", he said. His own children love theirs. "The boys make boardgame figures and the girls dolls' house furniture. Dolls' house furniture may not seem like a major industry but it feeds into the idea that it is all about kids playing with something and hoping to become the next Mark Zuckerberg. "Regular people are designing extraordinary things and some may even be able to build a company around it," he said. If Karl Marx had been born in the web age, he might have had to adapt his famous call to arm slightly - "Makers of the world unite".